Six years after India conducted a series of nuclear tests in 1998, strategy the Indian Army issued its conventional war fighting doctrine called the Indian Army Doctrine 2004. The doctrine, which later came to be known as ‘Cold Start’, drew a lot of attention in the strategic circles. Moving away from its decades old defensive posturing along the international border with Pakistan, the Army now adopted a more offensive approach. The shift was palpable: from deterrence via denial to coercion via offence. The shift is also puzzling because it occurred in a nuclear backdrop. If nuclear weapons bolster deterrence, then offensive conventional military doctrines, prima facie, appear anachronistic. 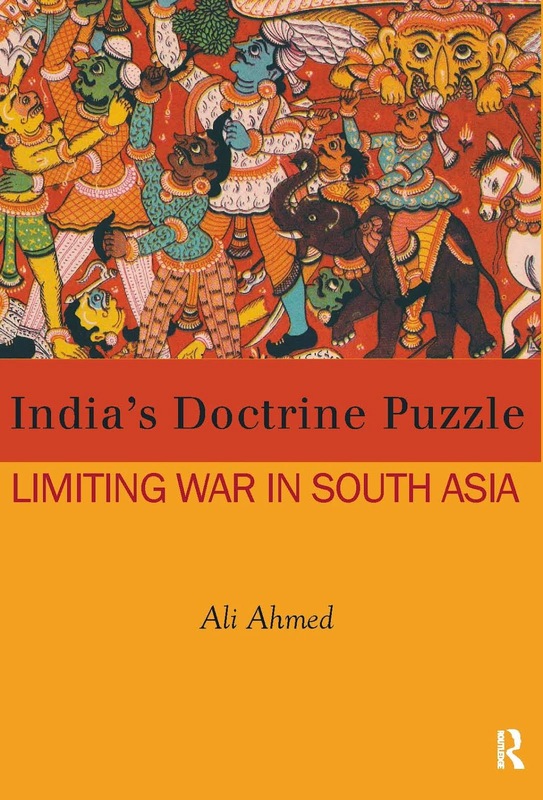 Ali Ahmed’s The Doctrine Puzzle: Limited Wars in South Asia attempts to explain the above-mentioned puzzle and does that exquisitely. For the author, causation behind the shift exists at three different levels of analysis. The first was India’s strategic environment in the aftermath of the nuclear tests. Under the shadow of nuclear weapons, Pakistan intensified sub-conventional warfare against India, evident first in the 1999 Kargil war and the attack on the Indian Parliament, a couple of years later. Even when conventionally superior to its western neighbour, the presence of nuclear weapons ensured that India’s response remains limited. India faced a serious dilemma: the presence of nuclear weapons had actually decreased its deterrence potential vis-a-vis sub-conventional threats from Pakistan. To break out of this stranglehold, the need was to create space for limited conventional probes while avoiding a nuclear response. If the strategy of massive retaliation increased the threshold of nuclear use, a limited conventional war could, in theory, allow New Delhi to inflict punishment on Islamabad for its many subversions. The Indian Army Doctrine 2004, therefore, was a response to this strategic conundrum. However, the two operative conditions—nuclearization of South Asia and Pakistan’s support for sub-conventional warfare—were present since late 1980’s. By 1988, Pakistan’s nuclear capability was an open secret. Since then, it was also actively supporting terrorism in Kashmir. Structural reasons pertaining to strategic environment therefore cannot explain the delay in formulation of a limited war doctrine. As the author rightly contends, it is important to open the black box of the state and find reasons within. Here, domestic politics or the second of level analysis comes handy. 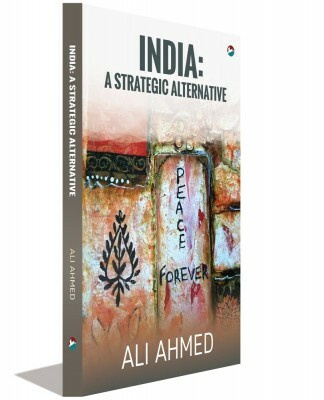 Availing the analytical apparatus offered by theory of ‘strategic cultures’, Ahmed contends that the coming of the BJP marked a shift in India’s strategic culture and therefore, the shift from defensive conventional deterrent to an offensive mindset. Strategic environment and domestic politics notwithstanding, institutional interests are equally important. Militaries, like other organs of the state, are also driven by narrow bureaucratic interests as well as organizational processes. Even when the strategic environment and domestic politics favour shift in doctrinal ethos, ultimately the motivation has to come from within the organization. First, doctrinal change should be accompanied with various incentives for the service. A limited war doctrine is premised on the revolution in military affairs (RMA) and adoption of an offensive doctrine would have ensured speedy modernization of the force. Second, in the conflict within services, such doctrinal changes increased the relevance of the Army. Lastly, if the primary mandate of standing armies is to fight conventional wars, nuclear weapons have rendered their entire rationale redundant. Military professionalism is poised towards breaking out of this dilemma. An offensive conventional doctrine, therefore, helps to promote military’s long held ethos. Only expert diagnosis and explanation of the problem can lead to perceptive prescriptions and Ahmed’s study is no different. His policy recommendations however are counter-intuitive. 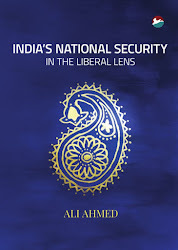 On one hand, he finds an offensive conventional doctrine as highly destabilizing and on the other, he argues that India’s nuclear doctrine should be modified on the principles of ‘flexible response’. His argument is contentious but given the problem of credibility in India’s declared nuclear doctrine of ‘massive retaliation’, he may well be right. The biggest import of this study is for students of strategy; a field still struggling in Indian academic discourse. Though scholars like Srinath Raghavan have left a deep imprint, their inquiries are largely historical and focus upon grand strategy, rather than specifically focusing on military doctrines. It is important to understand this distinction because of many difficulties associated with such a sensitive yet contemporary field of study. First, information is always at a premium when it comes to issues of national security and especially, military doctrines. Second and the more difficult problem to overcome is the fact that the Army itself has been in denial over the existence of the ‘Cold Start’. In other words, the concept suffers from definitional clarity. Therefore, undertaking such an enterprise demands being theoretically sound, conceptually clear and methodologically inventive. Theoretically, the author exhibits a robust understanding of strategic studies literature: the chapter on the concept of ‘limited war’ can be easily recommended as a text book reading for students of strategic studies. Also, in the strategic discourse, terms such as ‘doctrine’, ‘strategy’, ‘deterrence’, ‘compellence’ and ‘coercion’ are commonly used but often remain undefined. The author does well to explain these terminologies in the very first chapter, bringing much needed conceptual clarity. Lastly, the methodological novelty, both in the application of the ‘levels of analysis’ framework and evidence gathering is astute. Its simplicity notwithstanding, ‘levels of analyses’ is a difficult framework to operationalize especially in multivariable research. The author does well to find the third level of analysis not in the ‘individual’ but within the military organizations, hence avoiding serious pitfalls. In the bibliography: almost all official avenues of military publications, including the dissertations at the National Defence College, have been perused for evidence. However, there is an over-emphasis on domestic politics and organizational cultures at the expense of structural factors. The argument that the BJP ushered in a change in India’s strategic culture is a little far-fetched. First, this change was not reflected in other avenues of national security decision-making such as nuclear force structures. Even after conducting the tests, the BJP settled for a minimalistic nuclear posture which had been decided under the Rajiv Gandhi Government in 1985. Second, ‘culture’, in general, is a resilient structure; to argue that ‘strategic culture’ could undergo a substantial shift in such a short period of time runs against the dominant academic literature on the subject. Lastly, if the shift was instigated by the BJP, no policy reversal occurred with the coming of Congress-led government in 2004. In fact, for the entire first term of the UPA, as Walter Ludwig’s piece amply demonstrates, the Indian Army was busy perfecting its new doctrinal mandate. Also, discussion on RMA and its influence is limited. Ahmed largely views it as an organizational incentive. By doing so, he discounts the changing nature of global warfare and its impact on military thinking. Prospect theory suggests that decision-makers are much more influenced by high probability of success compared to high probability of defeat. Did the RMA help instill a belief in the Indian Army that complexities of a limited war could be easily overcome? RMA therefore has to be viewed through a structural lense; not as a mere incentive. Yogesh Joshi is a PhD candidate in School of International Studies, Jawaharlal Nehru University, New Delhi.